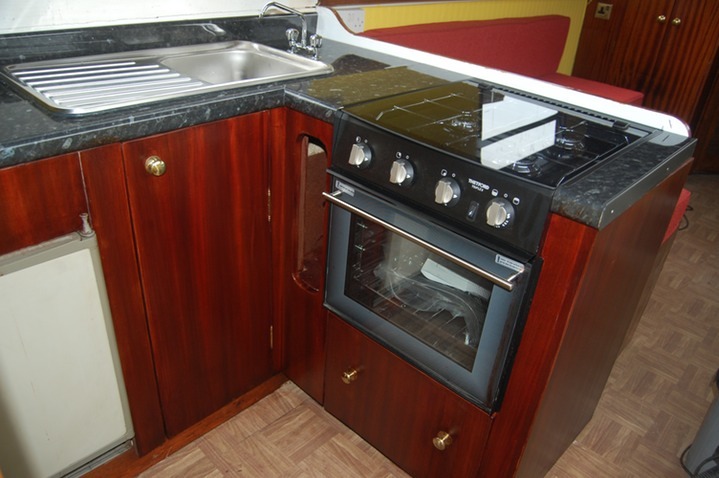 Canal Barge kicthen or galley built and installed recently. The cabinets are Marine plywood, with Mahogany Venner doors and brass hardware. A Pan drawer is fitted below the cooker unit.